You’ve heard the old adage “new broom sweeps clean”. Well here’s a prime example for you. Stuart Ridd-Jones is a relative newcomer to the turf industry but is certainly sweeping away outdated practices and making way for modern mindsets. Stuart was raised on his family’s farm in Devon. He’s no stranger to stacking bales, tractor driving, mucking out or lambing. In fact he still gets involved from time to time. However, Stuart’s education and early career was number-orientated. He studied maths at Warwick University and went on to work in The City of London as a tax consultant. 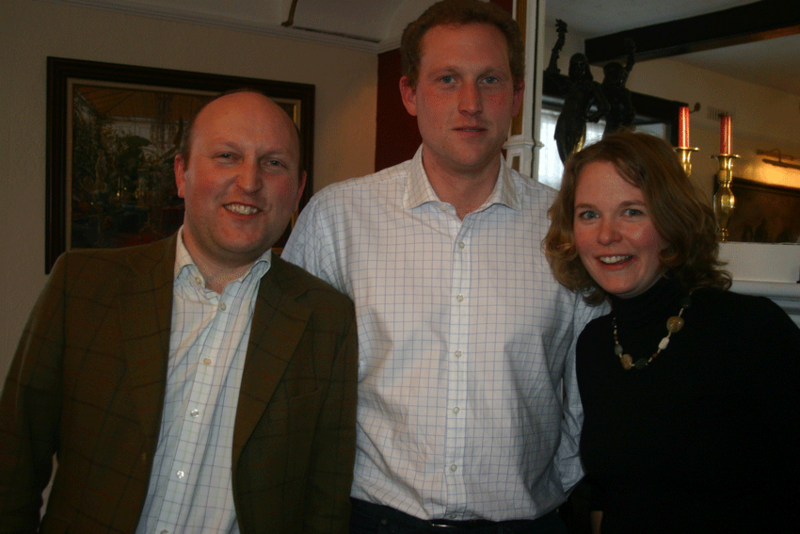 In 2007, Stuart, his wife Chantall, and their family purchased Shrubhill Farms in Norfolk. This was (and still is) a highly productive parcel of land growing potatoes, combinable crops, sugar beet, turf, sedum blankets and wild flower matting. Stuart’s interest in landscape supplies was kindled. Seeing the potential for business growth, he began looking for other opportunities within the landscape industry. Three years later, in 2010 Turfland Farms in Lancashire was acquired. Followed by Stewarts Turf in Edinburgh and Spearhead Turf from Cambridgeshire. In January 2016, the four enterprises merged to form Harrowden Turf Ltd. Harrowden Turf Ltd is believed to be the UK’s largest turf producer. As you can imagine, running four separate turf production companies presented a whole new set of challenges for Stuart and Chantall. Aside from learning about turf production, marketing and distribution; each Company had a different set of strengths and weaknesses, a different “personality”, differences in culture, in traditions, in the way they communicate with customers. Yet all were highly successful businesses. Existing staff have a huge amount of industry experience between them. Not just in turf production but in logistics, sales, marketing, procurement, customer care, HR and a whole lot more. Stuart and Chantall tasked themselves examining each aspect of the business from different perspectives, learning what worked best and then implementing new systems to ensure that all four profit centres work together, work efficiently and work consistently. Not easy. In the turf industry, old habits die hard. Fortunately Stuart is not one baulk at a challenge. It’s fair to say that amalgamating different Company cultures has been tricky at times. A business is more than just spreadsheets. It’s people. And people who have been in the same job for a long time have well established routines, suppliers, opinions and practices. These four businesses were competitors before being bought by Harrowden. Today and now the main characters, the ones with all the industry knowledge are sharing information and resources. It’s been and “interesting” journey for all involved. Stuart enjoys a challenge of any kind. 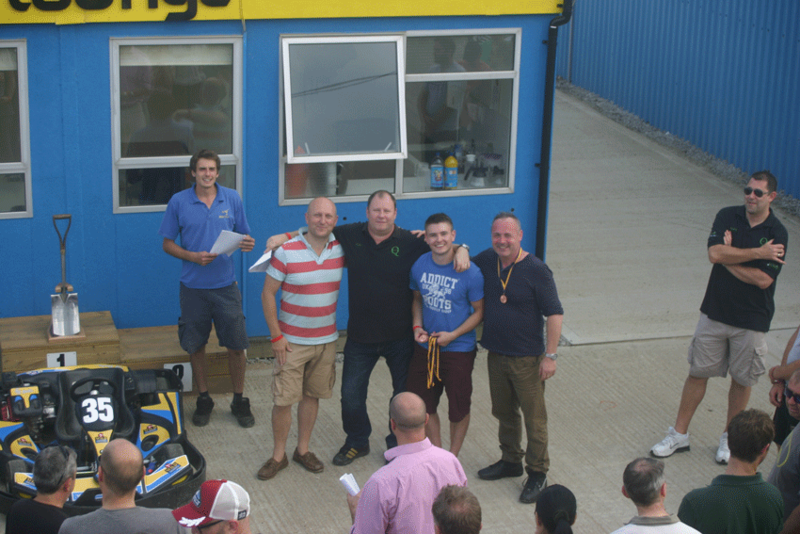 Here he is with QLawns Go-Karting team at the 2014 “Beast in the East” competition. Judging by the medals, the team did well. At the time of writing it’s been almost 12 months since the four companies officially amalgamated to form Harrowden Turf Ltd. Has the merger been successful? Well it certainly hasn’t failed. It takes a long time to grow a crop of turf and so efficiencies in production won’t be obvious until the new crop is harvested. Having walked some of the fields myself – I can confidently say that Harrowden Turf’s customers are going to be very pleased with their purchases. Stuart is doing a grand job of redefining best practice and bringing his organisation into the 21st century. I for one can’t wait to see what 2017 brings.